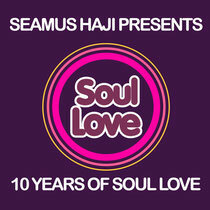 Seamus Haji celebrates the 10-year anniversary of Big Love subsidiary label Soul Love with a look back at some of the more soulful and funkier releases on both labels across two bonus DJ mixes. Mix 1 features some of the bigger moments with label favorites Belezamusica aka Bah Samba producer Julian Bendall, Haji & Emanuel, Dave Spoon, Scape and some of Seamus Haji’s more soulful & funky productions under his Mekkah, I-Jah & Big Bang Theory monikers. The Layabouts, StoneBridge, Sean McCabe, John Julius Knight & Funkagenda feature on some stunning remixes as well as some fine vocalists such as UK soul diva Beverly Knight, D’Empress (Moby & Goldie Fame), Alice Russell (Bah Samba), Bryan Chambers, Erire & Stephen Granville. 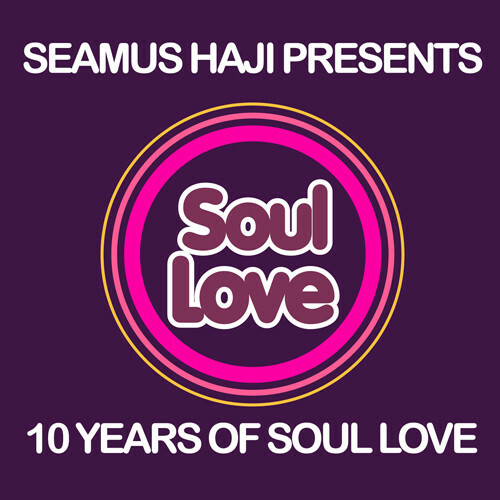 Also included is some of Seamus’ remixes for other labels that fit perfectly with this mix such as Bah Samba’s Teena Marie cover from a few years back to the more recent gospel track by UK star Donae’O. Mix 2 maintains the quality with top releases from Those Guys, Hardsoul, Nova Fronteira, Mr Hermano, Lorenz Rhode, The Montanas and Polyphonics most of which have been given Seamus’ touch on the remix and there are many of his collaborations with Paul Emanuel, Timmy Vegas or Def-E (The Beginnerz) and work under another moniker Undercover Lover. Again more top vocalists appear with the likes of house legend Robert Owens, Pete Simpson (Sunburst Band), Chicago legend Ron Carroll and the UK’s Stephen Granville. It also features their biggest release to date ‘Last Night A DJ Saved My Life’ re-worked by ATFC, as well as ‘Back Together (Seamus Haji Remix) and the more recent remix by Sean McCabe on Belezamusica’s ‘Everybody Loves The Sunshine’. Dimitri From Paris also features with a wicked re-edit of ‘I Walk Alone’, as well as the Hott 22 Remix of ‘Play it’. It’s out now.